I would like to thank you for visiting my Web site. 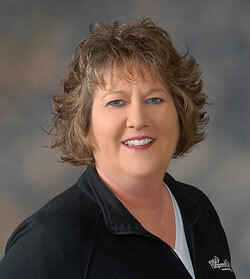 My name is Yvonne Deatherage, a kitchen specialist and promoter of health and wellness. I have many years of business experience. I enjoy cooking and entertaining, and with my experience and training in the use of kitchen tools, I can recommend tips and facts to help make your entertaining easier and your time in the kitchen less burdensome and more fun! . I earned my B.A. from the University of North Carolina at Chapel Hill where I was an Account Representative with American Greetings for 18 1/2 years. During my time at American Greetings, I was top 10 in sales for the entire country and received the Five-Star Sales award for five consecutive years. It was while at American Greetings that I developed breast cancer, and though I am blessed to count myself as a breast cancer survivor, the associated treatments left me unable to continue my work and I was forced to retire. In January 2003, I founded a health and wellness publication called Treasure Life. My goal with that publication was to help educate people about the importance of maintaining their good health so they would not learn the hard lesson I learned: that good health can slip away if one does not take care of their body. Although Treasure Life ceased publication after five years in 2008, I continue to help educate people about the importance of maintaining their health through this Web site, my expertise as a kitchen specialist and things that have helped me continue to move forward each day. I am always interested in meeting new people and will be glad to consult with you on how to prepare nutritious meals in less than an hour, why “fresh” is better and discuss how to introduce health and wellness supplements into your daily diet. Are you looking for a way to earn some extra income? Would you know someone that $100, $200, $300, or more a month would make a difference in their lives? I can show you and/or them how to do that too.